When I first saw screenshots of Ginger: Beyond the Crystal, I could hardly believe my eyes. I mean, look at it! This game is absolutely gorgeous, and it immediately had me thinking nostalgically about the long neglected 3D platformer genre that was once so popular. 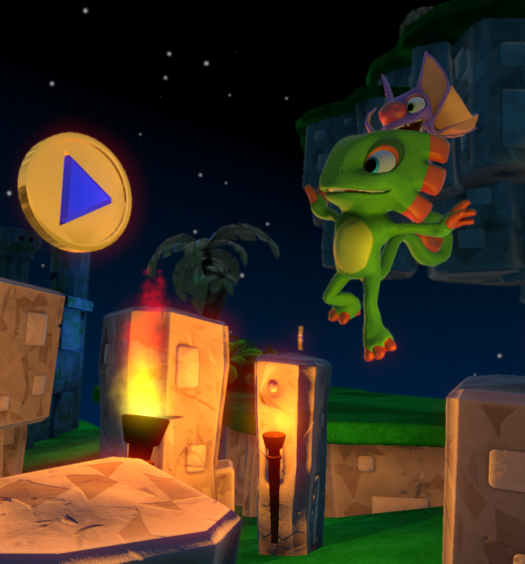 Yooka-Laylee is carrying the hopes of a lot of people, and it would be fantastic if a game like Ginger could come along and surprise us with a standout performance. And you know what, it nearly succeeds. Ginger is the worst kind of disappointing, because whilst it fails to achieve greatness in any area, it shows promise in several. 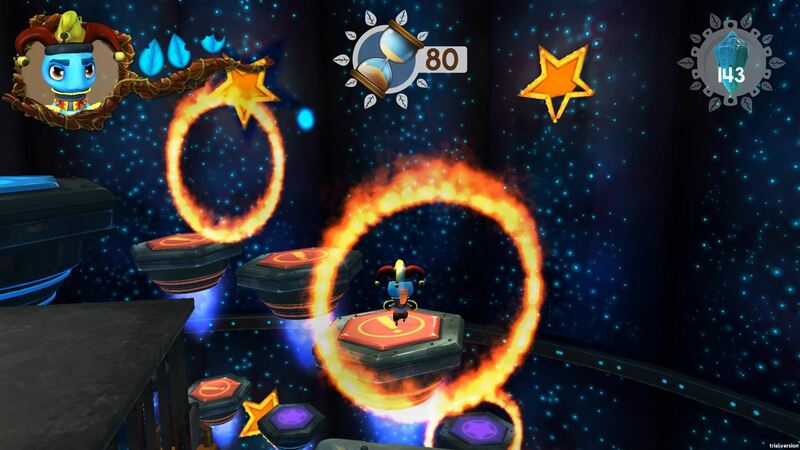 The core of the game is based around three hub levels that each house five themed core levels and five less important “secret” levels. That’s fifteen major levels to work through, plus the shorter, trial-focussed secret levels and a slew of basic fetch and carry quests that are dished out in the hubs. If that were the end of it, then Ginger might not have been half bad, but the developers seem to have let themselves get carried away in the excitement. More on that later though, because there are lots of good things about Ginger that I should tell you about first. Lovingly crafted – Ginger is hosted in a really magnificent world that is a match for any game when it comes to imagination, craftsmanship and beauty. The graphics are highly imaginative and the characters are cute and unique, with the only downside being that there are some distractingly heavy drops in frame rate when panning around. The hub villages are especially enjoyable to explore, with lots of quests (albeit annoying ones) to complete and things to see and do. These levels are the best, which is a good thing as most of the game is spent there, and each of them feels fairly accomplished, even though they are not challenging as such. Large and diverse – The three hub levels set the tone for each of the ten levels that they host, and each of the three main themes is quite different from the last. There are also some subthemes, and as a result, the look of the levels is refreshingly varied. The structure within the hub levels feels a little bit like a light RPG, with a focus on chatting, questing and driving the (fairly limited) narrative forwards. 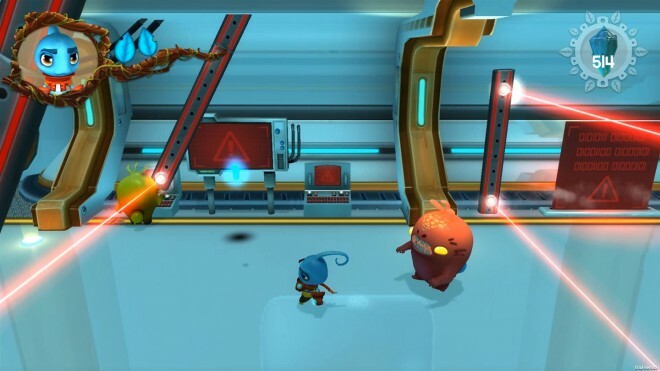 Core levels focus on expanding Ginger’s abilities and challenging the player to use them in order to restore crystals and collect bits and bobs to help with various optional tasks. 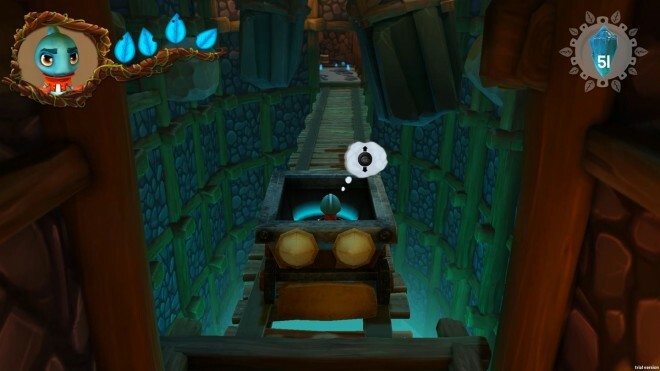 The additional or secret levels play very differently and are universally focussed on traditional platforming elements, including some that are fairly tough. Variety is the spice of life – Although I will later criticise Ginger for lacking focus, it does cram a very large number of ideas in, most of which are fun even if they are underdeveloped. Aside from the level structure I’ve already described, players can undertake a range of quests from villagers within the hub levels and can collect materials to use for rebuilding the villages (including choosing what buildings to build.) Ginger can also gain access to a number of different outfits by rescuing friends, and each of them allows him a new ability. This works a bit like Metroid or Zelda, enabling Ginger to access new areas or collectibles through whatever benefit the outfit provides. Terrible Combat – Without doubt, Ginger has the worst combat I’ve experienced in any game for a very long time. Ginger himself has standing regular and special attacks, a jumping attack and a special dash. The only reliable method of dispatching foes is through the jumping attack, and that’s only because it creates a visible shockwave. There is no aural or tactile feedback, nor is there any controller vibration, so being certain that you have landed a hit is always an issue, and Ginger’s range when using either standing attack is minimal, with really poor animation – it’s almost impossible to use either of these attacks and not get hit by the enemy you want to kill in the process. The dash attack is hopelessly hard to aim, making it equally useless, and when you add all these things together, combat is simply not fun in Ginger. In fact, it detracts from the experience quite heavily. Scatterbrained – Combining so many ideas into a single game does provide a lot of variety, but it also means that few ideas are fully realised. Platforming, building, fighting, action RPG and lots of other sub-genres are at work in Ginger, but none are fleshed out to the extent that they might be with a little more focus. Each component idea functions to an average degree, but the platforming is decent without being overwhelming, the building mechanic feels pointless, and the action RPG element is a poor mockery of better games such as The Legend of Zelda: The Wind Waker. The fighting is incomparably bad, adding nothing to the game and taking away a lot. The weight of disappointment – Perhaps an extension of the point above (but nonetheless worthy of note) is the fact that Ginger comes close to being fantastic, falling short only because of a lack of focus and attention to detail. 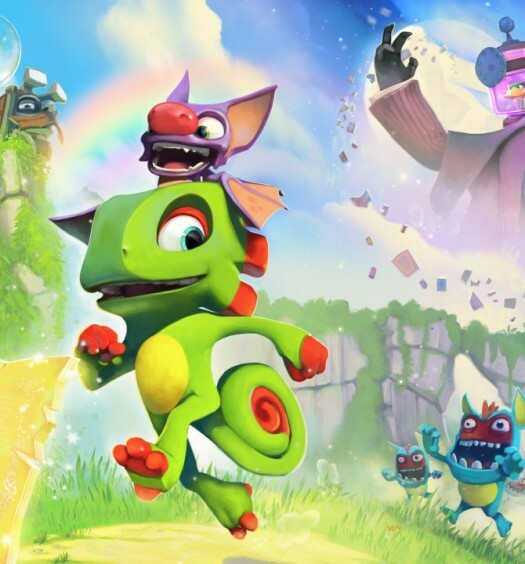 Had combat been corrected and had the developers focussed on a few less ideas, this could have been a fantastic game that could have stolen the thunder from a certain Yooka-Laylee. Alas though, I suspect that Ginger is bound for anonymity because it does little to make players want to champion it; it is functional without ever being exceptional, and it does nothing new, and nothing especially well, even though it is close to delivering both. You’ll only want to invest in Ginger if you are really missing the 3D platform game genre. It isn’t a bad game at all, but it does so many things to such an average degree that it is hard to get excited about. There is also the lingering feeling that with just a little more effort and some focus, it could have been so much better. A missed opportunity, and a game for diehard fans of the genre only. 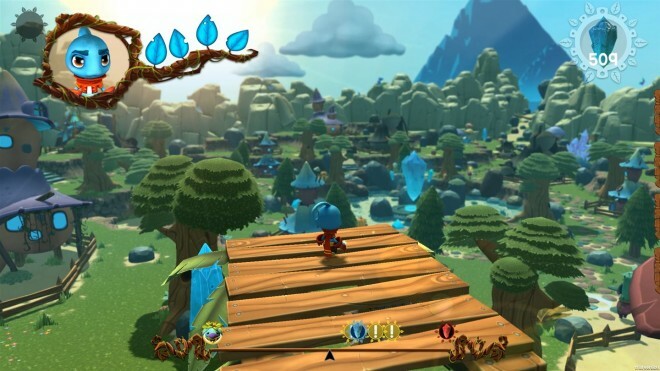 Ginger: Beyond the Crystal was developed and published by Badland Games on Xbox One. It releases on October 25 2016 for $19.99. A copy was provided for review purposes.